Tastesoule is a peaceful and well maintained camping site that offers activities and amenities for the whole family to enjoy with its large gardens and plenty of shady spots. Get the most out of this enchanting luxury camping site by booking through LuxCamp. Nature loving families are sure to have fun getting to know this part of France. 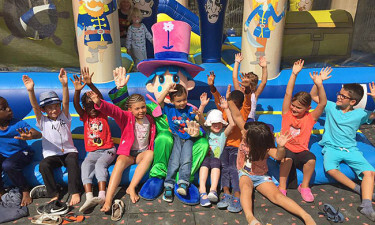 The nearby villages boast classic windmills to explore as well as traditional markets, while there is plenty of fun to be had messing about on the river. A large swimming pool can be found in the heart of the site and this is the perfect place to keep cool on a sunny day. 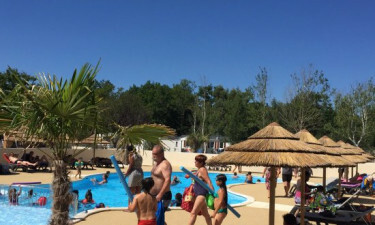 The pool is surrounded by sun loungers and water activities are regularly organised here to give guests the chance to have fun together while enjoying luxury camping, while a second pool is heated and is ideal for young children to splash around in. 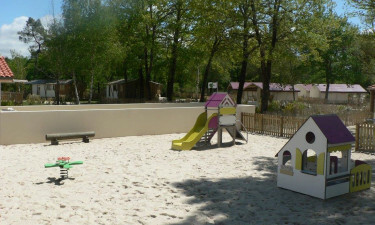 Guests will find the pristine sandy beach of Montalivet is located just over two miles from their mobile home and this is the perfect place to enjoy a picnic while soaking up the sun. Taking a stroll down to the beach alone the coastal path is the perfect way to unwind, while cycle hire is also available.